Dolores Cañadas Arcas is an attorney at law at Zivko Mijatovic & Partners. She graduated from the University of Alicante with a law degree and was admitted to the Alicante Bar in 2001. Ms Cañadas Arcas has extensive experience in trademark clearance searches for clients in the pharmaceutical, cosmetic, food and technology industries. Due to Zivko Mijatovic & Partners’ international profile, she has been highly involved in the management of global trademark projects – not only in Spain, but also in a number of Eastern European countries before and during their accession as EU member states. 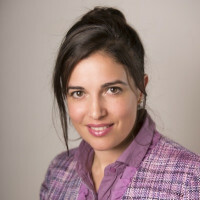 Since 2008 – having qualified as both a Spanish patent and trademark agent and a European trademark and design attorney – Ms Cañadas Arcas has assumed overall responsibility for the firm’s EU trademark and registered Community design practices, overseeing large-scale renewals and recordals relating to EU trademarks, registered Community designs and Spanish trademarks, patents and designs. In addition, her daily work involves advising on enforcement, litigation and prosecution matters in Spain and the European Union. She is active in filing new applications for trademarks and designs and in prosecution matters, such as responding to office actions (eg, absolute grounds objections, classification issues and invalidity actions). Ms Cañadas Arcas also deals with conflicts through opposition and appeal proceedings before the Spanish Patent and Trademark Office, the EUIPO, the EU General Court, the European Court of Justice and – until EU Directive 2015/2436 is fully implemented in Spain in 2023 – judicial revocation proceedings before the Spanish courts. Ms Cañadas Arcas is outstanding in her ability to apply her knowledge and skills to negotiations to secure the best possible outcome for clients – whether in Spanish or English.